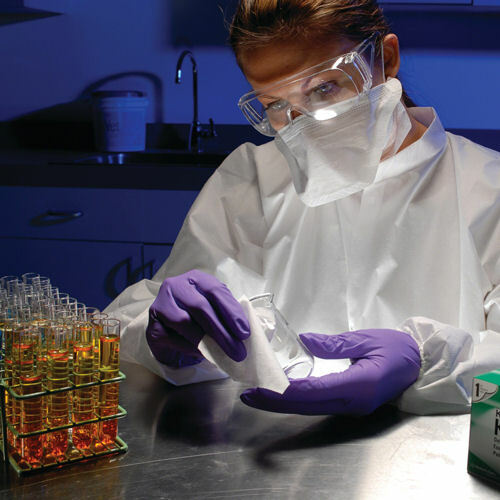 We use it in our biology lab for cleaning microscope objective and ocular lenses. It does an amazing job cleaning the lenses. Will not scratch and leaves little or no lint behind. 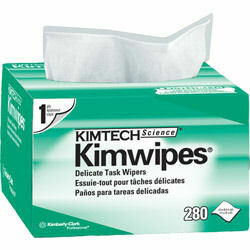 Kimwipes EX-L, 34120, 4.5" x 8.5", 30 Pkg/Case, 8400 Sheets/cs. Sold as a case. -30 packages per cases, 280 wipers/pkg. Great value! Each box is only $3.16/ea.